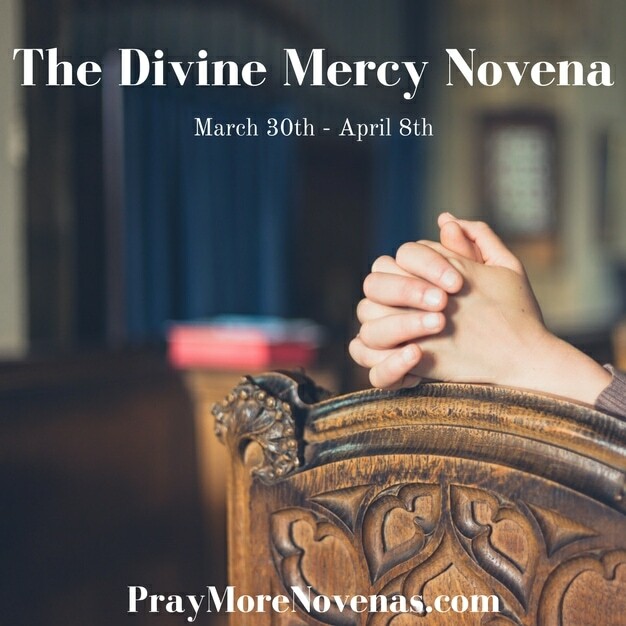 Here’s the Final Prayer of The Divine Mercy Novena! I pray to find relief and for the court to rule that I get out of my abusive domestic situation…for years I have not known where to go for proper help…please build my strength to battle the negative energies sent against me. Please show my children that they don’t have to take sides but to realize how their mother is suffering and been unhappy for years, Dear father God, show my ex husband the folly of his vengeance and malice against me, and to settle this matter in a civil and amicable way. Please pray for my son who was involve in accident and had craniotomy done. Now he is having problem with his vision. Pls pray for him he is only 20 years old. It breaks my heart. Divine mercy pls heal my son. You are merciful. Pls perform a miracle. I will be faithful for rest of my life. Every novena I pray I ask that my son get control of his weight. As a mother my heart breaks. He has so much potential yet fails to see it. Help him Lord Jesus, to loose the weight. Thank you so much to John and Anne for making possible to say out novenas, it is so comforting. I am desperately asking for prayers for my family. Jesus, I know you see and know everything. With your merciful heart waiting for us to call on you, I stand before you heartbroken like a little girl who has been let down once again. My heart is pure for you, Jesus, but it is being flooded by the veil words that spew from my sick son, Barry, who suffers from Aspergers Syndrome, insomnia, depression, anxiety, fear, and is loosing his will to live. My poor daughter, Kate, is consumed with her own anxiety, but is silent as her brother fills the home with slamming doors and stomach turning foul language. I want you Father, I take this evil away and bring back my son, who wants to serve you and Love you. I live for you Lord, help me with my doubts. I believe, help me with my unbelieve. I Trust you Lord, but I am growing weary. Come quickly Lord, so we can shout for Joy.Help us to Be close to you through this storm. Amen. Teeth surgery can be done when scheduled. I thank you both for your work in spreading God’s love and word. I look forward to each novena. I truly closer to Jesus and God. Thank you again. I am praying for the healing from brain cancer and melanoma for Dian W.
Please pray for my husband of 55 years, who is now 81, who is ill in hospital. He can no longer feed via mouth, so all his nutrition has to be via a tube in the stomach. May God give us both the strength to cope with this new challenge. He has also been a diabetic on insulin since he was 20. Not my will but THINE be done Lord. I am grateful for novenas. I receive daily reminders but have noticed I do not receive any on Day 7, could you advise whether you send out a reminder on Day 7? I have found that a reminder goes into my spam folder for some reason. So I always check there when I notice I didn’t get one in the new mail inbox. I hope this helps! One of three answers have been given to my son! This is one of my favorite novena! Thanks to all who prayed with and for me? I did not receive the final pray! please include in your prayers my son as well. He needs “A “grades this semester to get into Med schl. this year. That he keeps away from all those who do not know Jesus and are in Ungodly ways. Blessings of Godly, Jesus knowing friends. Thank you. Thank You Merciful Jesus ?? Praying for you Lynda. Jesus heals. I pray that Saint Theresa, and all the saints, make intercession for you. Thank you for this beautiful prayer and for this entire Novena – this site has been such a blessing to me. Today I pray to trust in God, and that I will have resolution to a huge uncertainty in my personal life, and that the other person upon which this uncertainty hangs will receive all of God’s love, blessings, and Grace, no matter what happens. Jesus, I trust in you. Amen. I’m asking our Devine Mercy Jesus for my prayers to be heard and granted through this novena. I ask our Devine Mercy Jesus for protection against my enemies for my family and I.. May our Devine Mercy Jesus give me favor and justice against my enemies. Thank you Devine Mercy Jesus!! !